Certain medical conditions can increase the likelihood of having a stroke. Knowing these stroke risk factors and working to manage them can help prevent a stroke. 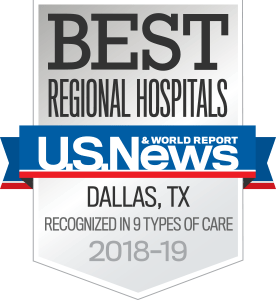 UT Southwestern Medical Center provides stroke prevention services for patients at every stage of health, from those who simply want to know their stroke risk to stroke victims who require treatment to avoid future attacks. There are two types of risk factors for stroke – those that people can control, and those that can’t be controlled. Learn more about stroke and heart disease. The more risk factors a person has, the greater the stroke risk. Up to 80 percent of strokes are preventable if people understand their personal risk and how to manage it. Managing controllable risk factors such as tobacco and alcohol use, physical activity, and obesity can help reduce some of the other risk factors, such as high blood pressure, high cholesterol, and diabetes. UT Southwestern’s cardiologists and neurologists can help patients understand their risks and work to take control of any conditions that increase the risk of stroke.